Originally devised for the Nobel Prize organisation which had requested a dedicated podium solution for its 2012 Nobel Peace Prize presentation, DPA Microphones' CEO Christian Poulsen introduced a high-end podium gooseneck microphone line at Prolight + Sound show 2013 in Frankfurt. The series will also be showcased at InfoComm 2013, Orlando, Florida, Booth #774. The Nobel Peace Prize ceremony was taking place in Oslo City Hall, in a room with highly challenging acoustics. Using interference tubes and pre-polarized backplate to ensure speech intelligibility, DPA adapted its existing miniature capsule to give an off-axis frequency response that negated room reverberation while preserving the needed on-axis sensitivity for voice level. It also positioned the capsule on a delicate gooseneck stand. The result was so well received that the microphone was quickly adopted as a standard DPA product and is now available to all installation customers. This miniature podium microphone can even be used in a wireless configuration by employing the company’s adapter offerings. Actually, DPA Microphones launched two new microphones that give AV installers and conference organisers the clear, transparent and precise sound they demand. Alongside the high-end d:dicate solution, DPA has developed a cost-effective, directional podium microphone based on its renowned 4060/d:vote 4099 miniature microphones. The podium microphones that incorporate the modular capsules from the d:dicate Recording Microphones, which are acclaimed for their exceptional linear frequency responses, high SPL and gain before feedback and were formerly known as Reference Standard. 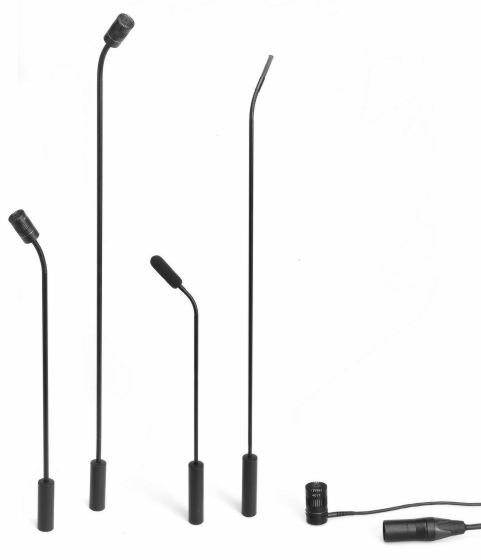 The new podium microphones combine the state-of-the-art capsules with newly introduced modular active booms. A number of different capsules are available and by choosing the exact capsule and boom combination, DPA customers can access the exact microphone for their needs. The solutions for the installation market will be available from August 2013.